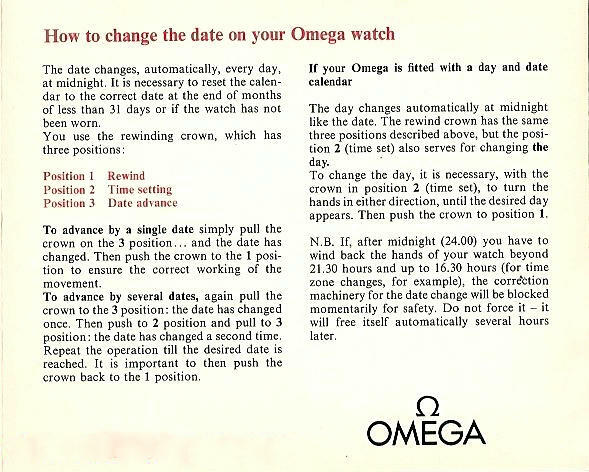 Quite some time ago, I was researching the reason behind why so many 17 jewel movements powered US Collection Omega watches in the 1950s and 60s, when I chanced upon a movement series about which little was written and less was said. And yet, this series, because of the minimal number of pieces produced, meets the criteria for rarity in Omega watches. I published an essay on these rare models in 2008, and subsequently a small cadre of collectors embarked on a treasure hunt to locate and acquire examples. Treasure hunts by fellow collectors tend on occasions to yield unexpected booty that helps add to the knowledge base, and that has certainly been the case with calibre 560 models……but I get ahead of myself. Originally, four specific models were identified – three Seamaster DeVilles and an Omegic generic brand – and examples of each of them were featured in the original essay. However, as a result of UK calibre 560 collector Graham Smith’s detective work, another Seamaster powered by the calibre was unearthed! That discovery led to the materialisation of a cache of calibre 560 models not listed on the Omega Vintage Database! The upshot of this find is that a total of nine models were powered by calibre 560 movements. Only 3000 movements were made and this means that each of the models were effectively ‘Limited Editions’ in everything but name. Click here for the updated essay. You have done a great work, it looks very professional though, i really wana appreciate your effort, can you please guide me how can i read your 2008 essay, you have done awesome dude. keep it up. Hi, I integrated both articles into the one and so pull the earlier article off the server. Great research. You state that "The OVDB tells us that the calibre 560, 17 jewels automatic had a total production run of 3,000 pieces." How did you manage to get the production run information from that database? IN this instance the information is actually accessible in the calibre 560 listings where it states a total number produced. There was some questioning about whether 3500 pieces were produced for each model listed or across the total range of models. I communicated with the management of the Omega museum on a number of occasions as did several other colleagues so as to verify the production run and case models in which the movement sat. Youre right to query this as usually Omega does not release production numbers except for limited editions, but this was an exception because of the US connection. My friend has his grandfathers that he wanted me to do research and here it is! Nice to know that there are relentless investigative experts out there. I recently restored the calibre 560 10k watch that was given to my father by his sales staff in the late 50's--early 60's. Your article was very helpful in identification. I found a very competent watch repair service in Roswell GA to do the work. I am very pleased and get many compliments on the watch! PS have photos of watch, too. My email adress is accessed through clicking on the about me icon. Is this a franken watch? To the best of my knowledge KM and LL case numbers housed cal 563 and 565 movements. I haven't seen a LL with a cal 560 in it and I suspect it may well be a franken. 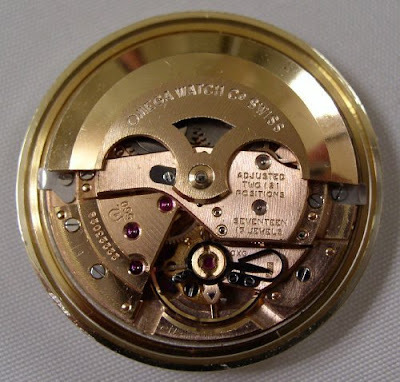 The problem is that these cases fit all calibres of the mid-500 series of movements and so it is easy to change a movement into an inappropriate case. Is it possible for the 560 to have more than one design style for the 'Seamaster' lettering. I have seen one with the double coat-hanger 's' like the Melbourne Olumpic ones. Please advise. I have a what appears to be generic Omega, 560 caliber unadjusted, stainless case marked 166.002. I'm told it was my grandfathers before it became mine. Is this a legit watch or something that's been cobbled together? Are you sure it isn't a 166.002? Normally 166.020 case will house either a cal 562 or 565. I don't rule out completely this case being imported into the US with a cal 560, however all the evidence would need to be scrutinised. The other issue is that a cal 560 bridge may or may not have been introduced into your watch. That can be determined by looking for the inclusion of or absence of extra jewels on the rotor bridge. Mine is a serial number 21m. There's one other forum post I found earlier with a 3rd identical watch to mine as well. Right, as I said I wouldn't rule out the possibility that this watch is genuine. Although, in my notes there is mention of this case house a cal 550. Like you, I have seen a few of these with cal 560 movements and while it's a small sample it tends to indicate that case and movement may have been together since birth. I appreciate your insight. I'm thinking about having it serviced so that I can start wearing it but the dial and crystal aren't in the best of shape. Is it safe to assume that this wouldn't have much more value than any other watch with a 560 movement or is there a possibility of more value assuming it's all original and apparently fairly rare? The crystal can be polished unless the scars are very deep. Original dial, if it has patina that is relatively even, is more collectible than a refinished dial. In terms of value I would expect most cal 560s to be on par, unless the case, movement and dial are pristine, in which case you could add a premium of 30% plus. But as this is a family piece, it's worth spe nding a couple of hundred to have it cleaned and oiled and have a new crown attached.